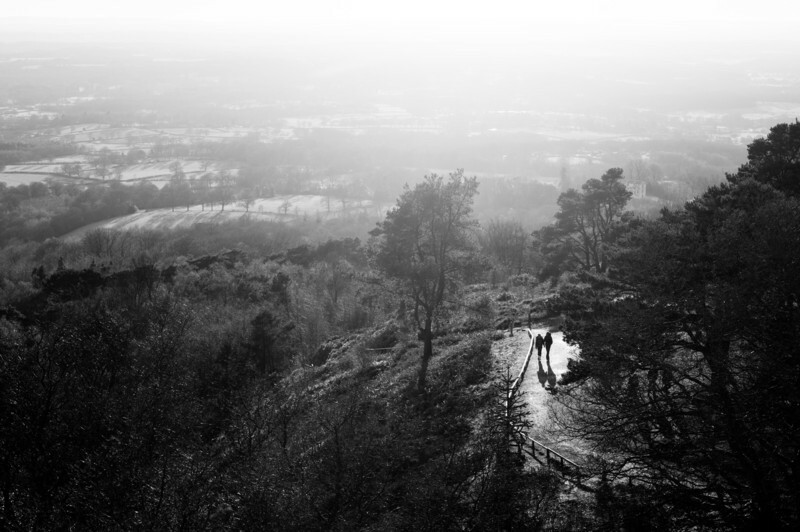 Leith Hill over a period of 15 months. I took the first photo in January 2010, the second in September 2009, the third in June 2010 and the last one in September 2009. As you can see this wasn't originally a planned project. After I took the first picture I had it on my wall at work and many workmates commented on it. It was then I decided to take a total of 4 similar photos to cover the different seasons. Unfortunately June 2009 had gone by that time so I had to wait until Sept. Now the next problem is to get 2 people to be walking in the right place without anyone else around and this became the real challenge.